Bows & Crows: Collar To Cuff Project: Finished Shirt! Collar To Cuff Project: Finished Shirt! It took me awhile, but I've finally finished my shirt for my latest college project! This is the first time I've made something that I've designed, and I'm quite pleased with the final outcome. 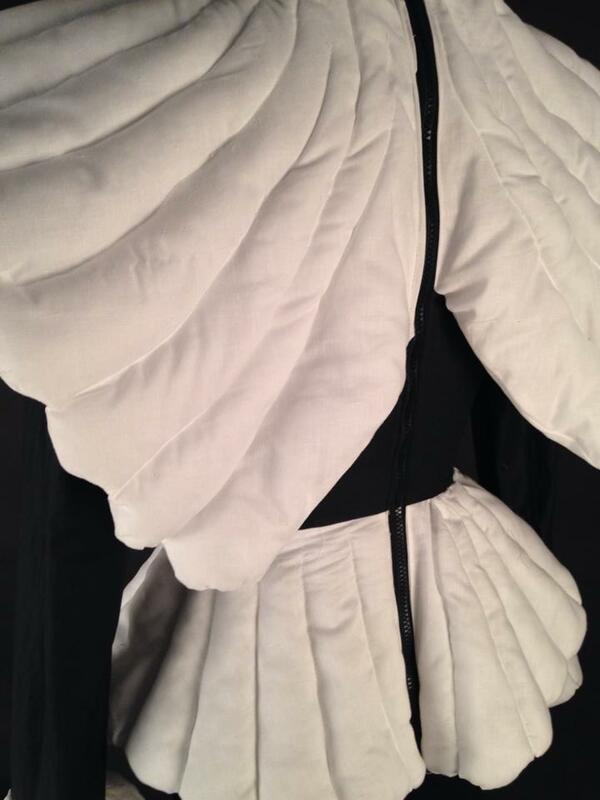 There's definitely areas I need to improve on with my sewing as I really struggled with some parts of my garment, and I think that really shows when you take a close look at the construction of my shirt. Despite me not wanting to progress onto a designing and making course if I go to university, I still hope I can improve my sewing for my next project! For the brief of this project we were asked to use only black and white cotton, and to pick a theme to base our shirt designs on. I chose insects for my theme and I think that really translates well when you look at my shirt. 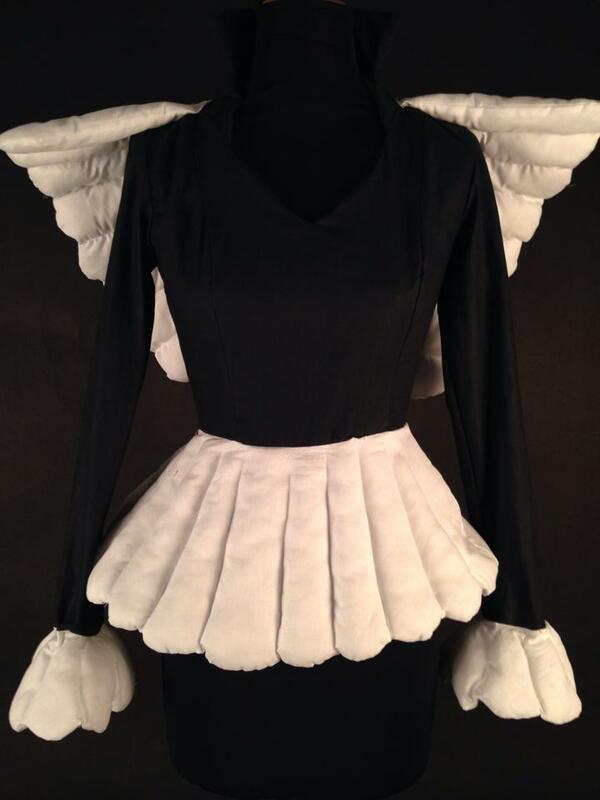 Apart from the obvious wings on the back of my shirt, the peplum and the cuffs are also meant to represent insect wings. I filled them with wadding to make them standout more, which I think gives these areas a really nice look to them. 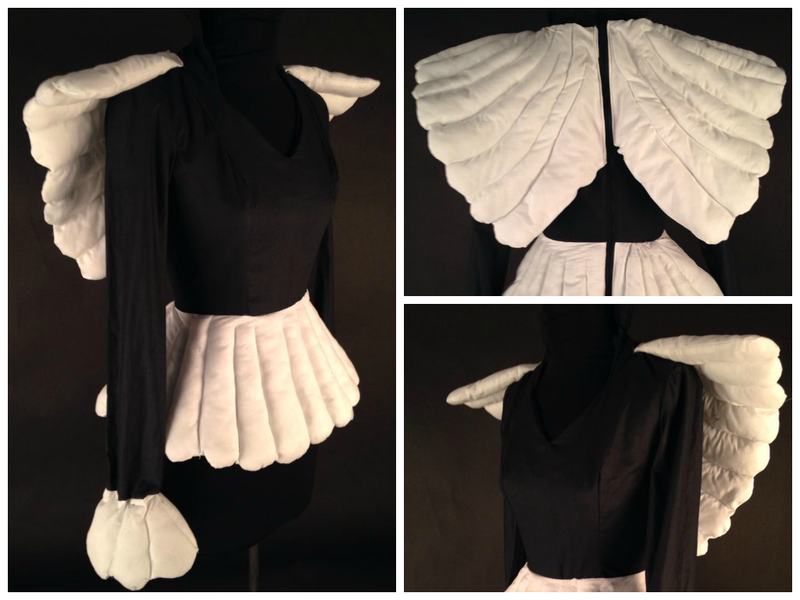 The only thing I would have done differently is add a print to the peplum area, similar to the patterns seen on insect wings, so that the shape on the peplum really did look like wings. I think this would have made my shirt much more interesting and I think it's a shame that I didn't end up adding a print. Despite everything though I'm really happy with the outcome of my shirt. To say it was my first time ever making something I'd designed, and that at first I found the idea very daunting, I think I gave it my best.